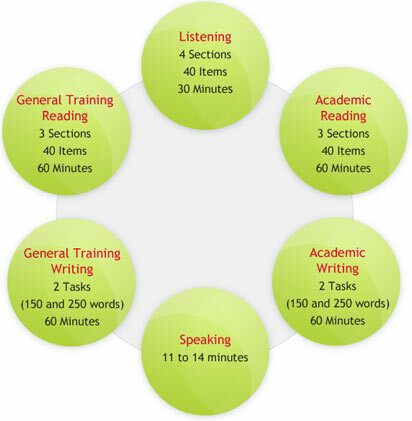 IELTS tests all four language skills – listening, reading, writing and speaking. The Speaking test is a face-to-face interview with a certified Examiner. 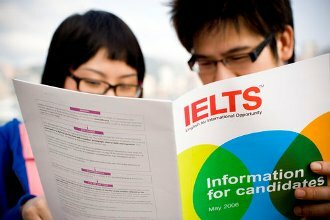 IELTS offers two modules – Academic, which is suitable for those who want to study or work in an English-speaking environment; and General Training, which is for those who need to communicate in English in social and workplace contexts. It is often the module taken by those who are going to English-speaking countries for secondary education, work experience or training programs. It is also the module used by several countries - Australia, the UK, Canada and New Zealand - as a requirement for migration. 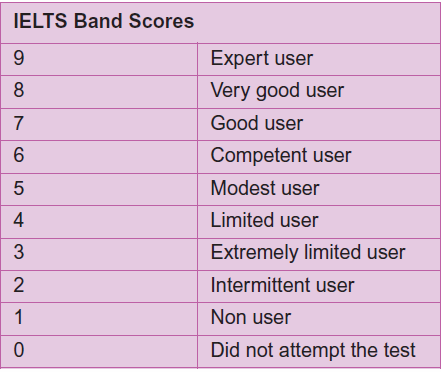 Having a good level of English language does not guarantee you a good score in the IELTS. Some students are more successful than others when taking IELTS. Often the more successful students are better prepared. However, sometimes students who do well have better test taking skills. These abilities really have nothing to do with understanding English better. They are strategic skills that make taking the test easier, and therefore provide better results. Band score are recorded on a Test Report Form, showing overall ability as well as performance in Listening, Reading, Writing and Speaking from 1 to 9. IELTS is recognised by educational institutions in many countries, including USA, Australia, Canada, New Zealand and the UK. It is also recognised by professional bodies, immigration authorities and other government agencies. Look at online Global Recognition System (GRS) to find out which organisations recognise your IELTS score.